Daniel Gets His Pilot's License! Earning His Private Pilot's License! Yep, this fellow is one proud kid - well, young man, actually now that he's 20! And his parents are quite pleased as well - for awhile things looked pretty dubious! Things started out quite well. 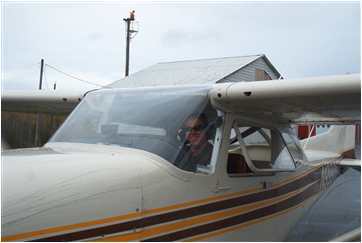 Last summer God opened the doors for Daniel to get his flight training in northern Maine with his instructor & friend, Davey Fernald at a reduced rate. His food, lodging and work at the airport were added blessings! For awhile Daniel really went gung-ho, learning and flying as often as possible, at times getting extra hours for free while doing fire patrols. He hoped to be done within two months. 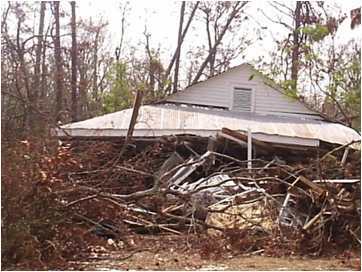 Then Hurricane Katrina hit the Gulf Coast, and Daniel couldn't resist an opportunity to spend three weeks doing relief work in Mississippi. It was a rewarding experience, but it depleted funds and time he could have been earning money and flying. 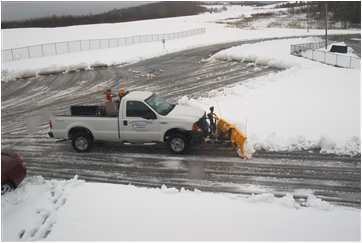 A series of other delays resulted in lost flying time, then winter set in and flying time became even more limited. Soon it was December, Daniel's funds ran out, and his ticket back to California was December 13. He lacked $900 to complete his flying hours, take his written test and have his final check flight. 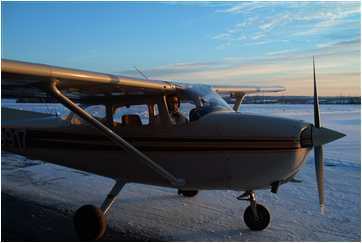 Only a week from his departure date, Daniel decided to keep flying by faith, trusting God to provide the needed funds. 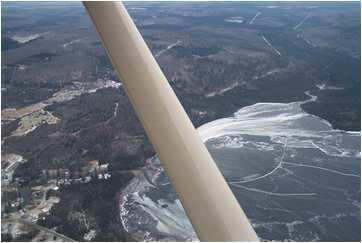 Wind, snowstorms and freezing weather kept the flying windows few and far between. Then on Thursday, a $1,000 check arrived from a totally unexpected source. After deducting $100 tithe, he had exactly $900 - the exact amount he needed to finish his flight training! 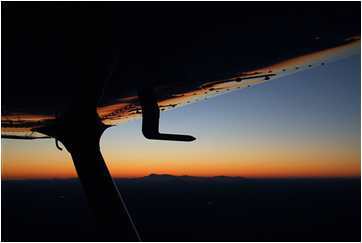 By Sunday night he finished his flying hours to qualify for his license. Early Monday morning he flew to Augusta, took and passed his written test, and flew to Rangely, Maine for his check flight. By then it was late in the day, and the cloud cover was very low. The check flight examiner decided it was a go. As instructed, Daniel put the plane through a variety of different maneuvers. When the examiner was satisfied, they landed - just as it was getting dark. 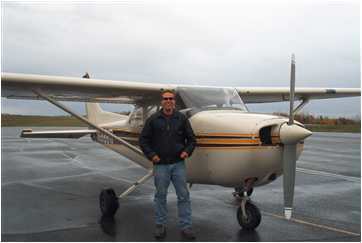 Daniel had passed - it was December 12, 2005 and he became a Licensed Private Pilot! He was extremely exhilarated and totally exhausted! Another step toward fulfilling his dream of becoming a mission pilot! Daniel was up at 4:00 a.m. the next morning, flew to Manchester, N.H., and got a commercial flight on to Sacramento, California, where we picked him up and brought him home. He joined his parents visiting relatives for a few days, then attended the General Youth Conference in Chattanooga, Tennessee from Dec. 28 to Jan. 1. Back home for a few weeks, he plans to head for Venezuela around January 22 to work with Bob Norton as he gains more insights into mission aviation. He will not be flying planes, but hopes to ride in the mission plane when space is available. Otherwise, he'll be working at whatever else needs to be done. After he's volunteered there for 4 to 6 months (or more, depending on the circumstances), he plans to return to the U.S., continue his flight training, build up flying hours, and get all the preparation he needs to eventually return and serve in South America, or wherever else God leads. He's always glad to hear from people, so feel free to e-mail him by clicking here.